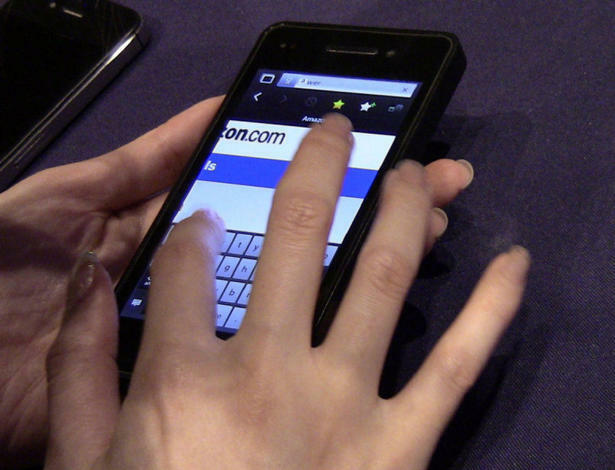 TORONTO — Research in Motion Ltd. says future BlackBerry models will still offer physical keyboards. Some reports suggested RIM would ditch the physical keys favored by its users, but CEO Thorsten Heins said Wednesday that RIM won’t lose the focus on physical keypads. Heins unveiled a prototype touchscreen BlackBerry on Tuesday. But he said the new line of smartphones due for release later this year will include both touchscreens and keypads. RIM spokeswoman Tenille Kennedy also confirmed that the new BlackBerry 10 operating system will include new phones with physical keyboards. “It would be wrong — just plain wrong” not to, Heins told reporters at an annual conference in Orlando, Fla., on Wednesday. The Canadian company gave developers a prototype BlackBerry on Tuesday in an effort to help them develop apps for the new software system. Heins stressed that the device is not the final product. Heins acknowledged Wednesday that RIM needs to improve its marketing and he has vowed to hire a chief marketing officer soon. The Waterloo, Ontario-based company has long dominated the corporate smartphone market. Its BlackBerrys are known for their security and reliability. President Barack Obama even refused to part with his BlackBerry after he took office. But the once iconic company has had difficulty competing in North America with flashier, consumer-oriented phones such as Apple Inc.’s iPhone and models that run Google Inc.’s Android software. RIM is also dealing with a “bring your down device” trend, in which employees bring their personal iPhones or Android devices to work instead of relying on BlackBerrys issued by their employers. Analysts say RIM’s future depends on the new BlackBerry 10 software platform, although many say it may be too late. RIM has been undergoing a comprehensive strategic review for the last three months. Heins was promoted to CEO in January after the company’s two long-time chiefs stepped down. Its stock dropped 68 cents, or 5 percent, to $12.80 Wednesday. The shares have lost almost three-quarters of their value over the past 12 months. Jefferies analyst Peter Misek, who is in Orlando for the conference, said he was disappointed that Heins said he would wait to see what kind of traction BlackBerry 10 got before pursuing possible licensing deals for things like RIM’s popular BlackBerry messenger service. He also said there was no mergers-and-acquisition talk, and said that the fact that RIM released a prototype means the new BlackBerrys won’t be out until the end of the year. He said those three reasons drove down the stock. “It’s basically status quo until the end of the year and that’s tough for investors to take,” Misek said. Misek said Heins did a good job leading his first conference considering he had no device or operating system to release.